Internet Challenges: Image vs. the Written and Spoken Word. Image limits the imagination. The written and spoken word allows one to think in the abstract, which allows Truth to take root more deeply. This is one reason that the ministry of the Holy Spirit is much more effective through the medium of radio than video; Through conversation than through television. Consider that Scripture predicts that the world will one day adore the Anti-Christ by his image. It makes sense that internet video will go a long way to shutting down people's ability to discern because of the images they see of a leader they perceive to be a good guy. Obviously, we are not opposed to using images, having put up this website, but the limitations of image should be acknowledged in the face of a goal that returns corporate prayer to the center of home and church life. In one sense, we have been forced to digress to using image to get the word out. How ironic and truly reflecting upon the times in which we live. Of course, the internet also promotes the written and spoken word too; And that is good. Should God ever really move, it will be word of mouth, that causes people to come seeking God more than anything else. E-mails are a wonderful thing. This is partly why God chose the primary vehicle of the spoken and written word for all that He does, instead of image. Yes, God gives dreams and visions, but those subjective experiences, however valid, are contigent upon, filtered and brought into perspective by the context of His living and written Word. The reason for this is because "We know in part and speak in part". With words He created the universe. Our names are written in the Book of Life. We pray with words. The power of life and death are in the tongue. Even those who fall prey to the image of the enemy will find it is his words which are most deadly and deceitful. The PCPC, working with local Christian radio stations, is working to have a weekly one hour broadcast for worship and prayer, hopefully simulcasted on more than one station, where local music ministers will be teamed up to lead in worship while local church leaders, both pastors and layleaders, will come before the Lord together in prayer. Back and forth there will be a flow of worship and prayer as tens of thousands join together to say to the Lord: Have your way in our homes. The intention is to dethrone the ministry of Hollywood on the homefront, a place that has been the territory of the enemy now for decades. Listeners will also be led to commit to praying for those in their spheres of influence on a regular basis and corporate prayer for such neighbors will occur simultaneously across the Lowcountry by way of this silmulcast. The presence of the Holy Spirit will literally descend upon tens of thousands at one time. The Lord called our name through somebody burdened to pray for us. May we put ourselves in such a position to do the same for others. We are His legal Blood-bought conduits into this fallen world. This effort will support church growth, not hinder it. We are praying now that the Lord will continue to send agenda-less Christians, who rather than work up melodramatic prayers or who professionally parrot prayers, are instead desirous of the real thing; And who when then pray, everybody can sense they truly have an audience with the Lord. These are true prayer leaders. Such hearts open heavens and lead others before the Throne of Grace and Mercy. People need real thing. We need the Lord. Invisible powers will begin to fall as God is welcomed on the homefront, otherwise, how can we expect Church members to be consistently passionate about His presence beyond Sunday service? The atmosphere of our homes must change. This great adventure has to come to home, the workplace and neighborhoods first. The church service ought to primarily be a place lay people bring something, not drain the preacher even more dry. If our homes are places of prayer, our church buildings will be as well. 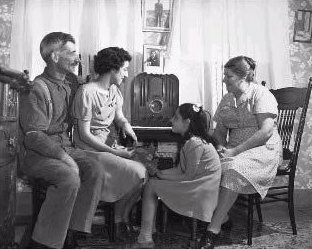 Radio, TV and internet are neutral, but they can be either a divider of community or a builder of community, depending on the word being put out. The word on this site is this: The time to seek Him together has come.